Original Prints of Holly's hand painted 12 x 12 Chakras. 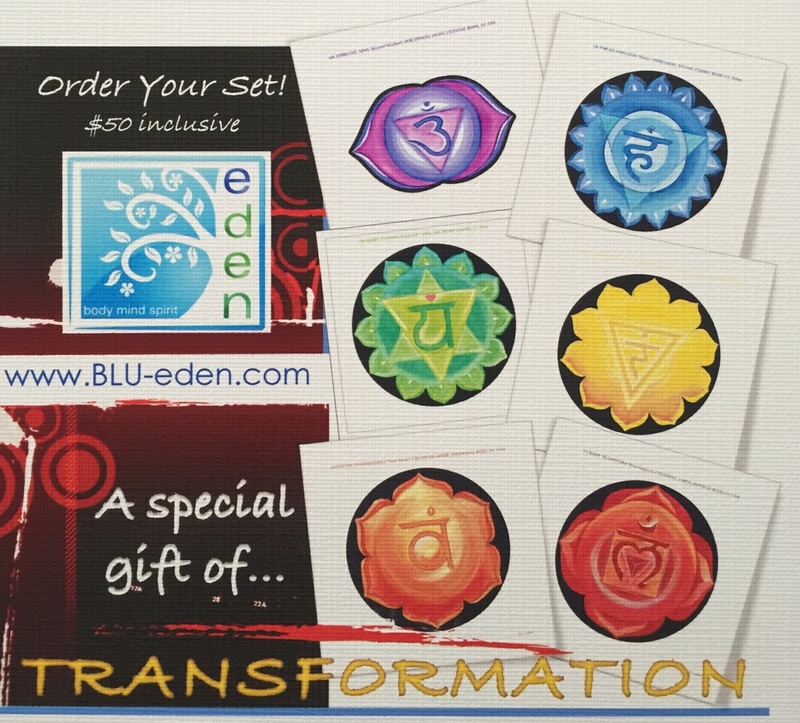 7 pieces of HIGH GLOSS UV Card Stock Chakras with Sanskrit word, description, element, energetic vibration, musical note, and mantra. 7" length of loving transformational energy. 15" width Auric Field. "Holly, I love our Chakra Set! I've used them to charge one of our Reiki tables already and today moved them to another. From the moment that I put them down, I feel the energy infusing the tables. Thank you so much for your blessings of healing. "~Andrea G., The Healing Art Center Mansfield, MA. "I am amazed by the energy in this set. I put it in my office facing the front door and my business has doubled. I'm blaming you for being so busy." ~Mark, R.I.